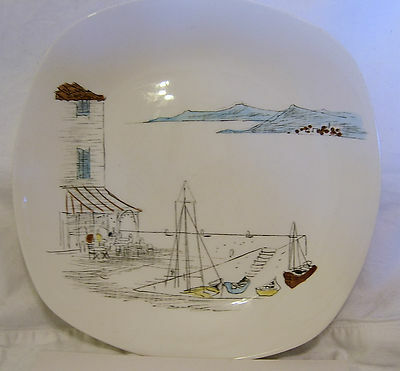 An excellent opportunity to acquire one or more Dinner Plates from the Cannes series manufactured by the Midwinter Pottery. This plate measures just about 9.5 inches ( 24. 5 cms) in length with a similar width. Currently, there are no plates available though they should be back in stock shortly . Please note that, although these plates are in overall excellent condition, they have been pre-owned. They seem also to be free from all but the very lightest crazing.